Opinion 2007/0019(COD) Specification of petrol, diesel and gas-oil: mechanism to monitor and reduce greenhouse gas emissions from fuels (amend. Directives 98/70/EC and 1999/32/EC; repeal. Directive 93/12/EEC). "Fuel Quality Directive"
Opinion 2007/0019(COD) Specification of petrol, diesel and gas-oil: mechanism to monitor and reduce greenhouse gas emissions from fuels. "Fuel Quality Directive"
4a. The joint Plan at regional level established according to paragraph 3 or 4 may be developed by the Competent Authorities concerned after consultation of regional interests within the Gas Coordination Group. 1. By [31 March 20147; 36 years after entry into force] at the latest, the Competent Authority shall ensure that in the event of a disruption of the largest gas supply infrastructure, the remainingtransmission entry point, the available infrastructure (N- 1) has the capacity to deliver the necessary volume of gas to satisfy total gas demand of the protected customers in the calculated area during a period of sixty days of exceptionally high gas demand during the coldest period statistically occurring every twenty years. 5. The transmission system operators shall enable permanent physical capacity to transport gas in both directions on all interconnectionsIf necessary according to the risk and impact assessment carried out according to Article 8 taking into account technical feasibility and an economic evaluation of all costs and benefits to the market, the transmission system operators shall within twohree years from the entry into force of this Regulation, except in cases where at the request of a Competent Authority, the Commission decides thatnable permanent physical capacity to transport gas in both directions on those interconnections where the addition of a bi-directional flow capacity would not enhance the security of supply of any Member State. Such decision. The assessment may be reviewed if circumstances change. The level of the bi- directional flow capacity shall be reached in a cost efficient way and at least take into account the capacity required to meet the supply standard set in Article 7. Within that two year period, the gas transmission system operator shallWithin that three year period, the gas transmission system operator shall, where necessary according to the risk and impact assessment carried out according to Article 8 taking into account technical feasibility and all costs and benefits, adapt the functioning of the transmission system as a whole so as to enable bi-directional gas flows. 2. The Competent Authority shall take the measurerequire supply undertakings to ensure the gas supply to the protected customers for the period of sixty days also in the event of an Emergency as defined in Article 9(2). The supply undertakings in cooperation with the Competent Authority shall endeavour to maintain the supply for the protected customers as long as necessarypossible. 1. By [30 September 2010; 6 months after entry into force] each Competent Authority shall fully assess the risks affecting the security of gas supply in its Member State and the impacts of the proposed measures by carrying out a risk and impact assessment by: a) using the standards specified in Articles 6 and 7; b) taking into account all relevant national and regional circumstances and impacts; c) running various scenarios of exceptionally high demand and supply disruption, such as failure of main transmission infrastructures, storages, LNG terminals, and disruption of supplies from third country suppliers; d) identifying the interaction and correlation of risks with other Member States, da) taking into account technical feasibility and an economic evaluation of all the costs and benefits of the measures proposed. 3. The Emergency PlanMember States shall ensure that cross- border access to the storage facilities is maintained also in case of emergency. The Emergency PlanMember States shall not introduce any measure unduly restricting the flow of gas across the borders. 1. The Commission, after consulting the Gas Coordination Group, may declare a CommunityUnion Emergency at the request of oneat least two Competent Authorityies in the affected region or when the CommunityUnion loses more than 10 % of its daily gas import from third countries as calculated by ENTSO-G. Iompared to planned import volumes as estimated by ENTSO-G. After consulting the Gas Coordination Group, it shall declare a CommunityUnion Emergency where more than onetwo Competent Authorityies hasve declared Emergency following the verification in accordance with Article 9(6). It may declare a CommunityUnion Emergency for specifically affected geographical regions comprising more than one Member State. (2) The 2005 Treaty concerning the accession of the Republic of Bulgaria and Romania to the European Union, and in particular Article 30 of the Act concerning the conditions of accession of the Republic of Bulgaria and Romania and the adjustments to the Treaties on which the European Union is founded, established in view of Bulgaria's commitment to close Unit 3 and Unit 4 of the Kozloduy Nuclear Power Plant an assistance programme (hereinafter referred to as ‘Kozloduy Programme’) with a budget of EUR 210 million for the period 2007 to 2009 which includes the assistance covering the capacity loss as a consequence of the closure of Kozloduy nuclear power plant. (6) The Union recognises also the need forcessity of financial support to progress further with mitigating measures in the energy sector given the extent of the capacity loss by the closure of the nuclear units and its impact on the security of supply in the region. (7) Consequently, provision should be made for a sum of EUR 300 million from the general budget of the European Union to fund the decommissioning of the Kozloduy Nuclear Power Plant over the period from 2010 to 2013 and the energy sector’s needs, stemming from the capacity loss caused by the decommissioning. (8) The appropriations of the general budget of the European Union for decommissioning should not lead to distortions of competition in relation to power supply companies on the energy market in the Union. These appropriations should also be used to finance measures to compensate the loss of production capacity in line with the acquis and the rules of the functioning of the internal market. This Regulation establishes the programme laying down detailed rules for the implementation of Community's financial contribution to address the decommissioning of Units 1 to 4 of the Kozloduy Nuclear Power Plant and the consequences ofand damage caused by their closure in Bulgaria (hereinafter referred to as ‘Kozloduy Programme’). The Community contribution to the Kozloduy Programme shall be granted for the purpose of providing financial support for measures connected with the decommissioning of the Kozloduy Nuclear Power Plant, measures for environmental upgrading in line with the acquis and for modernising conventional production capacity to replace the production capacity of the four reactors at the Kozloduy Nuclear Power Plant and other measures which stem from the decision to close and decommission this plant and which contribute to the necessary restructuring, upgrading of the environment and modernisation and strengthening of the energy production, transmission and distribution sectors in Bulgaria as well as to enhancing security and a higher standard of supply and energy efficiency in Bulgaria. 2. The annual appropriations shall be authorised by the budgetary authority within the limits of the financial perspectives and according to the requirements of the decommissioning process. 1. The Commission may have an audit of the use made of the assistance carried out either directly by its own staff or by any other qualified outside body of its choice. Such audits may be carried out throughout the duration of the agreement between the Community and the EBRD on making Community funds available to the Kozloduy International Decommissioning Support Fund in accordance with the rules of the International Atomic Energy Agency and the International Energy Agency and for a period of five years from the date of payment of the balance. Where appropriate, the audit findings may lead to recovery decisions by the Commission. (22a) Nuclear undertakings in all Member States should have sufficient financial resources to cover the costs of possible decommissioning in compliance with the priority of the polluter pays principle and in the context of strict rules for possible State aid. The Commission should therefore draw up precise rules for the use of financial resources in the case of decommissioning of installations and for the management and final disposal of the resultant radioactive waste. (29a) The Commission should call on the Member States to create registers of similar suitable sites for deep geological disposal. (2a) competent national bodies are involved as supervisor for adequate financial resources. 13. ‘'energy performance contracting’' means a contractual arrangement between the beneficiary and the provider of an energy efficiency improvement measure, according to which the payment for the investment made by the provider isverified and monitored for the duration period of the contract, where investments in that measure, including works, goods or services, are made in relation to a contractually agreed level of energy efficiency improvement or other agreed energy performance criterion, such as financial savings;. 1. WIn order to implement the national plan referred to Article 3a and without prejudice to Article 79 of Directive 2010/31/EU, Member States shall ensure that as from 1 January 2014, at least 3% of the total floor area owned by theiror occupied by public bodies is renovated each yearsubject annually to mdeet at least the minimum energy performance requirements set by the Member State concerned in application of Article 4 of Directive 2010/31/EU. The 3% ratep or staged deep renovation. "Deep renovation” means a refurbishment that reduces the primary energy consumption of a building by at least 40% compared with the pre- renovation levels. The energy performance of the building shall be calculated oin the total floor area of buildings with a total useful floor area over 250 m2 owned by the public bodies of the Member State concerned that, on 1 January of each year, does not meet the national minimum energy performance requirements set in application of Article 4 of Directive 2010/31/EUaccordance with the methodology developed by Member States according to Article 3 of Directive 2010/31/EU. If appropriate, deep renovation (and deep staged renovation) should take into account the building envelope, the building equipment, operation and maintenance and consumers behaviour. 1. Each Member State shall set up an energy efficiency obligation scheme. This scheme shall ensure that either all energy distributors or all retail energy sales companies operating on the Member State's territory achieve annual energy savings equal to 1.5%set by Member states a percentage of their energy sales, by volume, in the previous year in that Member State excluding energy used in transport. This amount of energy savings shall be achieved by the obligated parties among final customersdistributors and final customers. This annual energy savings shall lead to achievement of the target set in Article 3(2). In case of heating and cooling, where a building is supplied from a district heating network or by central heating, a heat meter shall be installed at the building entry or at the outlet of the boiler respectively. In multi-apartmen unit buildings, individual heat consumption metermetering devices shall also be installed to measure the consumption of heat or cooling for each apartmenunit. Where the use of individual heat consumption meters is not technically or economically feasible, individual heat cost allocators, in accordance with the specifications in Annex VI(1.2), shall be used for measuring heat consumption at each radiator. 3a. This Article shall not apply when a cost-benefit analysis shows that the costs of individual meters installation outweigh the benefits determined by potential savings of final customers. When the economic assessment of roll-out of smart meters according to Directive 2009/72/EC results in favour of their implementation, time provision set by paragraph 2 shall not apply. 1. By 1 January 2014, Member States shall establish and notify to the Commission a national heating and cooling plan for developing the potential for the application of high-efficiency cogeneration and efficient district heating and cooling including the upgrade of existing district heating and cooling networks, containing the information set out in Annex VII. The plans shall be updated and notified to the Commission every five years. Member States shall ensure by means of their regulatory framework that national heating and cooling plans are taken into account in local and regional development plans, including urban and rural spatial plans, and fulfil the design criteria in Annex VII. 2. Member States shall take the necessary measures to develop efficient district heating and cooling infrastructure including the upgrade of existing infrastructure, to accommodate the development of high- efficiency cogeneration and the use of heating and cooling from waste heat and renewable energy sources in accordance with paragraphs 1, 3, 6 and 7. When developing district heating and cooling, they shall to the extent possible opt for high-efficiency cogeneration rather than heat-only generation. Member States shall ensure that, whenever an existing electricity generation installation with a total rated thermal input exceeding 20 MW, excluding nuclear installations, is substantially refurbished or when, in accordance with Article 21 of Directive 2010/75/EC, its permit is updated, conversion to allow its operation as a high-efficiency cogeneration installation is set as a condition in the new or updated permit or licence, provided that the installation is sited in a location where the waste heat can be used by heat demand points in accordance with point 1 of Annex VIII. 9. The Commission shall establish by 1 January 2013 by means of a delegated act in accordance with Article 18 a methodology for the cost-benefit analysis referred to in paragraphs 4 (c), 7 (b) and 8(b). The methodology shall be prepared in consultation with the concerned stakeholders. Such a methodology shall take into account both socio-economic and business finance perspectives. (c) With centralised heating and cooling, billing shall be provided on a monthly basis during the heating/cooling season where individual meters are installed, billing based on actual consumption shall be provided on a monthly basis during the heating/cooling season, if requested by final customers. Where billing is based on heat cost allocation, monthly harmonized bills shall be balanced at least yearly. (d) At least every two months for hot water billing or, if provided by the same central system, with the same frequency as under (c). The guarantee of origin shall be of the standard size of 1 MWh. It shall relate to the net electricity output measured at the station boundary and exported to the gridgeneration from high efficient cogeneration as mentioned in Article 10(11). (14a) It is also vital to ensure that mobile operators do not make working conditions within the sector worse as a consequence of this regulation. 1. With effect from 1 July 2012 the average wholesale charge that the operator of a visited network may levy from the roaming customer's home provider for the provision of regulated data roaming services by means of that visited network shall not exceed a safeguard limit of EUR 0,305, EUR 0,204 as of 1 July 2013 and EUR 0,103 as of 1 July 2014 per megabyte of data transmitted. Without prejudice to Article 13 the maximum average wholesale charge for the provision of regulated data roaming services shall remain at EUR 0,103 per megabyte of data transmitted for the duration of this Regulation. (7) The Eurostars-2 Programme (hereinafter ‘"Eurostars-2’"), aligned with the Europe 2020 strategy, the related Flagship initiative ‘'Innovation Union’'25 and ‘'A Reinforced European Research Area Partnership for Excellence and Growth’'26 will aim at supporting research and development performing SMEs by co- financing their market oriented research projects in any field. As such, and in combination with the activities under the ‘'Leading and Enabling Technology’' objective set out in the Horizon 2020 Framework Programme, it will contribute to the goals of the Industrial Leadership part of that programme to speed-up development of the technologies and innovations that will underpin tomorrow's businesses and help innovative European SMEs to grow into world- leading companies. As part of the improvements from the previous Eurostars programme, Eurostars-2 should head towards shorter time to grant, stronger integration and lean, transparent and more efficient administration to the ultimate benefit of research and development performing SMEs. __________________ 25 COM(2010) 0546 final of 6 October 2010. 26 COM(2012) 0392 final of 17 July 2012. (8) The EurekaUREKA Ministerial Conference on 22 June 2012 in Budapest endorsed a strategic vision for Eurostars-2 (hereafter ‘"Budapest Document’"). The ministers committed to support the continuation of the Eurostars Joint programme after its termination in 2013 for the period covered by the Horizon 2020 Framework Programme. This will consist of a reinforced partnership addressing the recommendations of the interim evaluation of the Eurostars Joint Programme. The Budapest Document sets out two main objectives for Eurostars-2. Firstly, a structural-oriented objective to deepen the synchronisation and alignment of the national research programmes in the field of funding, which is a central element towards the realisation of the European Research Area by the EUREKA member countries. Secondly a content-related objective to support research and development performing SMEs engaging in transnational research and innovation projects. The Budapest Document invites the Union to participate in the programmeEurostars-2. (8a) In accordance with the aim of simplification, administrative and bureaucratic burdens should be reduced for all parties. Double audits and excessive documentation and reports should be avoided. (11) In line with the objectives of the Horizon 2020 Framework Programme and EUREKA, any Member State and any country associated to the Horizon 2020 Framework ProgrammeEUREKA member country, and European and Non-European country associated to EUREKA which has an Science and Technology Agreement with the Union should be entitled to participate in Eurostars-2. (22) The Commission shouldand the Member States should jointly conduct an interim evaluation assessing in particular the quality and efficiency of Eurostars-2 and progress towards the objectives set, as well as a final evaluation and prepare a report on those evaluations. This Decision lays down rules on the participation of the Union in the second Research and Development Programme jointly undertaken by several Member States aimed at supporting research and development performing small and medium-sized enterprises (SMEs) (hereinafter ‘"Eurostars- 2’2") and the conditions for its participation. 1. The maximum Union's financial contribution, including EFTA appropriations, to Eurostars-2, including central administrative costs and operational costs, shall be EUR 287 million30. The contribution shall be paid from the appropriations in the general budget of the Union allocated to the relevant parts of the Specific Programme implementing the Horizon 2020 Framework Programme and in particular from appropriations under the heading "innovation in SMEs" under pillar II, established by Decision … ..../2013/EU in accordance with Article 58(1)(c)(vi), and Articles 60 and 61 of Regulation (EU, Euratom) No 966/2012. __________________ 30 The amount is indicative and will depend on the final agreed amount for DG Research and Innovation for the objective ‘Innovation in SMEs’ under Part2- Industrial Leadership, which will be finally approved by the Budgetary Authority in the final version of the legislative and financial statement. 3. A maximum of 26% of the Union's financial contribution may be used to contribute to the administrative costsand operational costs (which are the costs for the project evaluation) of Eurostars-2. Participating states shall cover any other administrative costs at national level necessary for the implementation of Eurostars-2. (ec) proof by the participating states represented by ESE that the conditions laid down in Article 20 of the Horizon 2020 Framework Programme are met. 2a. In the delegation agreement, a clear allocation of tasks and responsibilities between the Commission, ESE and the Member States shall be prescribed and any duplication shall be avoided. 2. The Commission may decide to carry out the audits referred to in paragraph 1 itself. Such audits shall only be carried out in duly justified cases and in consultation with the relevant parties. (11a) Any Eureka Members or Associated country that is not associated to Horizon 2020 may become a Eurostars-2 partner country. (2) ‘'research and development performing SME’' is an SME which reinvests at least 10% of its turnover to research and development activities or dedicates at least 10 % of its full-time equivalents to research and development activities or either has at least 5 full-time equivalents (for SME with no more than 100 full-time equivalents) or 10 full-time equivalents (for SME with over 100 full-time equivalents). 2a. Any Eureka Member or Associated country that is not associated to Horizon 2020 may become a Eurostars-2 partner country provided it fulfils the condition set out in point (c) of Article 6(1). Those Eureka Members or Associated countries that fulfil that condition shall be regarded as partner countries for the purposes of this Decision. Those partner countries shall not be eligible for the Union's financial contribution under Eurostars-2. 2. Without exceeding the maximum amount set out in paragraph 1, the Union's contribution shall as a rule be equal to one third of the contributions of the participating states referred to in Article 7 (1)(a). It shall cover administrative and operational costs. In case that during the lifetime of the programme the rate of Union's contribution needs to be adapted, certain flexibility should be given for individual calls. In this case, the Union's contribution could go up to a maximum of half of the contributions of the participating states. The Committee on Foreign Affairs calls on the Committee on Civil Liberties, Justice and Home Affairs, as the committee responsible, to recommend that Parliament decline to give its consent to the draft Council decision on the conclusion, on behalf of the Union of the Agreement between Canada and the European Union on the transfer and processing of Passenger Name Record data. The obligation established in the first subparagraph includes ensuring that the competent regulatory authority and the licence holders, within their fields of responsibility, develop, publish and implement a transparency strategy covering, inter alia, information on normal operating conditions of nuclear installations, non-mandatory consultation activities with the workers and the general public and communication in case of abnormal events and accidents. 3. Each Member State subject to the peer review referred to in paragraph 2 shall arrange for the planning and mode of implementation on its territory of relevant technical recommendations resulting from the peer-review process and shall inform the Commission thereof. Member States may exempt existing medium combustion plants which do not operate more than 1500 operating hours per year as a rolling average over a period of 5 years from compliance with the emission limit values set out in Part 1 of Annex II. In that case, for plants firing solid fuels, an emission limit value for particulate matter of 200 mg/Nm³ shall apply. Member States may exempt new medium combustion plants which do not operate more than 1500 operating hours per year as a rolling average over a period of 5 years from compliance with the emission limit values set out in Part 2 of Annex II. In that case, for plants firing solid fuels, an emission limit value for particulate matter of 100 mg/Nm³ shall apply. 8. In case the second subparagraph of Article 5(2) is used, a declaration signed by the operator to operate the plant not more than 31500 hours per year as a rolling average over a period of 5 years. Pollutant Rated Solid biomass Other solid Liquid fuels Heavy fuel oil Natural gas Gaseous fuels thermal input fuels other than other than (MW) heavy fuel oil natural gas SO2 200 400 170 350 - 35 NOX Pollutant: SO2 1-5 200 (-1a)-(1b) 1100 170 350 (-1c) - 200 (-1d) > 5 -20 200 (-1a)(-1b) 1100 170 350 (-1g) - 35 (-1f) > 20 - 50 200 (-1a)(-1b) 400 170 350 - 35 (-1f) Pollutant: NOX 1 - 50 650 650 200 650 2050 250 Particulate 30(1) Pollutant: dust 1-5 50 (-1e) 50 (-1e) 50 50 - - > 5 - 20 50 50 30 30 - - > 20 - 50 30 30 30 30 - - matter __________________ (1) 45 mg/Nm3 for plants with a thermal input below or equal to 5 MW. deleted (-1a) The value does not apply in case of plants firing exclusively woody solid biomass. (-1b) 300 mg/Nm3 in case of plants firing straw. (-1c) Until 01/01/2035, 1700 mg/Nm3. (-1d) 400 mg/Nm³ in case of low calorific gases from coke oven (iron and steel industry). (-1e) Until 01/01/2035, 100 mg/Nm3. (-1f) 170 mg/Nm3 in case of biogas. (-1g) Until 01/01/2035, 850 mg/Nm3. Pollutant Type of installation Liquid Natural Gaseous fuels gas fuels other than natural gas SO2 Engines and gas 60 120 - 15(-1a) (-1b) turbines NOX Engines 190 (1) 190 (2) 190 (2) Gas turbines (3) 200 150 200 Particulate Engines and gas 10 (3a) - - matter turbines __________________ __________________ (-1a) 60 mg/Nm3 in case of biogas. (-1b) 130 mg/Nm³ in case of low calorific gases from coke oven and 65 mg/Nm³ in case of low calorific gases from blast furnace (iron and steel industry). (1) 1850 mg/Nm³ in the following cases: (i) for diesel engines the construction of which commenced before 18 May 2006; (ii) for dual fuel engines in liquid mode. (2) 380 mg/Nm³ for dual fuel engines in gas mode. (3) Emission limit values are only applicable above 70 % load. (3a) 20 mg/Nm3 in case of plants with a total rated thermal input between 1 and 15 MW. 1. Emission limit values (mg/Nm³) for medium combustion plants other than engines and gas turbines Pollutant Solid Other solid Liquid Heavy fuel Natural Gaseous biomass fuels fuels other oil gas fuels other than heavy than fuel oil natural gas SO2 200 400 170 350 - 35 NOX 300 300 200 300 100 200 1.1 (1) Particulat 20 20 20 20 - - e matter __________________ (1) 25 mg/Nm3 for plants with a thermal input below or equal to 5 MW. 1. Emission limit values (mg/Nm³) for medium combustion plants other than engines and gas turbines Rated Solid biomass Other solid Liquid fuels Heavy fuel oil Natural gas Gaseous fuels thermal input fuels other than other than (MW) heavy fuel oil natural gas Pollutant: SO2 1-5 200(-1a) 1100 170(-1b) 350(-1b) - 110(-1c) > 5 - 20 200(-1a) 1100 170(-1b) 350(-1b) - 35(-1c) (-1d) > 20 - 50 200(-1a) 400 170(-1b) 350(-1b) - 35(-1c) (-1d) Pollutant: NOX 1-5 500 500 300 300(-1e) 100 200 (-1e) > 5 - 50 300 300 300 300 100 200 Pollutant: dust 1-5 50 50 50 50 - - > 5 - 20 30 30 20 20 - - > 20 - 50 20 20 20 20 - - __________________ (-1a) The value does not apply in case of plants firing exclusively woody solid biomass. (-1b) Until 01/01/2025, 1700 mg/Nm³ in case of plants being part of small isolated systems (SIS) and micro isolated systems (MIS). (-1c) 400 mg/Nm³ in case of low calorific gases from coke oven and 200 mg/Nm³ in case of low calorific gases from blast furnace (iron and steel industry). (-1d) 100 mg/Nm3 in case of biogas. (-1e) Until 01/01/2025, 450 mg/Nm³ when firing heavy fuel oil containing between 0,2 % and 0,3 % N and 360 mg/Nm³ when firing heavy fuel oil containing less than 0,2 % N in case of plants being part of SIS and MIS. 2. Emission limit values (mg/Nm³) for engines and gas turbines Pollutant Type of installation Liquid fuels Natural gas Gaseous fuels other than natural gas SO2 Engines and gas 60 120(-1a) - - 15(-1b) turbines NOX Engines (-1c)(-1d) 190(1) (1a) 95(2) 190 Gas turbines(3) 75(3a) (3) 50 75 Gas turbines 75 50 75 (3b)(3c) Particulate matter Engines and gas 10 - - turbines __________________ (-1a) (1) 225 Until 01/01/2025, 590 mg/Nm³ for diesel engines being part of SIS and MIS. (-1b) 40 mg/Nm3 in case of biogas. (-1c) Engines running between 500 and 1500 hours per year may be exempted from compliance with these emission limit values in case they are applying primary measures to limit NOx emissions and meet the emission limit values set out in footnote -1d. (-1d) Until 01/01/2025 in SIS and MIS, 1850 mg/Nm³3 for dual fuel engines in liquid mode. (2) 190 and 380 mg/Nm3 in gas mode; 1300 mg/Nm³ for diesel engines with ≤ 1200 rpm equal to or below 15 MW and 1850 mg/Nm³ for diesel engines above 15 MW; 750 mg/Nm³ for diesel engines with > 1200 rpm. (1) 225 mg/Nm³ for dual fuel engines in gasliquid mode. (1a) 225 mg/Nm³ for diesel engines with a total rated thermal input equal to or below 15 MW with ≤ 1200 rpm. (32) 190 mg/Nm³ for dual fuel engines in gas mode. (3) Emission limit values are only applicable above 70 % load. (3a) Until 01/01/2025, 550 mg/Nm³ for plants being part of SIS and MIS. (3b) Until 01/01/2025, 75 mg/Nm³ for diesel engines being part of SIS and MIS. (3c) 20 mg/Nm3 in case of plants with a total rated thermal input between 1 and 5 MW. 4a. Underlines that it is important to put an end to any isolation of Member States and regions from European gas and electricity networks and strongly believes that the EU should help those most vulnerable countries to diversify their sources and supply routes, as a matter of priority; therefore recalls, in the context of energy diversity, the essential role of energy mix including all sorts of energy production and allowing for specific conditions of individual Member State in order to achieve the EU energy goals. 41a. Underlines that the EU should take advantage of the opportunities that emerge from the energy sources of the Eastern Mediterranean, in particular with a view to create a Mediterranean gas hub through a corridor from the South- eastern Mediterranean to Europe in order to enhance EU's energy security. The EU should promote initiatives for the cooperation in the sector of Energy between the countries in the eastern Mediterranean contributing thus to peace and economic prosperity for the people. 42a. Highlights the need to actively strengthen cooperation with the EU's partners and recognize the important role of international cooperation in the field of Energy, and especially energy security; in this regard stresses that all intergovernmental agreements must be based on the principle of mutual respect with the third countries involved. 42b. Stresses that strategic infrastructures that promote the diversification of supplies, sources and routes, such as storage, import and transport facilities, as well as liquefaction and regafication of natural gas plants, can facilitate enhanced supply when emergency situations occur. Under normal market conditions, these infrastructures may not be fully economically and commercially feasible; therefore they may be supported by means of specific regulatory arrangements and/or public funding as provided by the 'trans-European energy infrastructure' Regulation (EU) No. 347/2013 and the 'Connecting Europe Facility' Regulation (EU) No. 1316/2013. 48. Highlights the need to enhance the EU’s ability to speak with one voice in order to deliver a more coherent energy diplomacy in partner countries and in multilateral fora; notes in this regard that the mandatovoluntary participation of the Commission as an observer in negotiations for intergovernmental agreements, as well as both ex ante and ex post evaluation of the negotiated agreements, should be required in order toon request of the member state, can minimise the possibility of non-conformity with EU law; However, it is important not to jeopardise the ability of Member States to negotiate the content of the agreements. 2. Stresses that better design, waste prevention, reuse and recycling could bring substantial net savings for EU businesses, estimated at EUR 600 billion, or 8% of annual turnover, while also reducing total annual greenhouse gas emissions by 2-4%1; emphasises that increasing resource productivity by 30% by 2030 could boost GDP by nearly 1% and create 2 million additional sustainable jobs; __________________ 1 Commission communication of 2 July 2014 entitled ‘Towards a circular economy: a zero waste programme for Europe’ (COM(2014)0398). 3. Points to the Commission’s analysis which shows that adopting new waste targets would create 180 000 jobs, make Europe more competitive and reduce demand for costly scarce resources2; strongly regrets the withdrawal of the legislative proposal on waste3, and calls for a more ambitious legislative proposal, addressing not only municipal but also industrial and commercial waste streams, to be put forward by 2015 as part of a more ambitious circular economy package (CEP), as announced by Vice-President Timmermans in Parliament’s plenary part- session of December 20144; __________________ 2 Commission staff working document of 2 July 2014 containing an executive summary of the impact assessment accompanying the proposal for a directive amending the waste directives (COM(2014)0397) (SWD(2014)0208). 3 Proposal for a directive of the European Parliament and of the Council amending Directives 2008/98/EC on waste, 94/62/EC on packaging and packaging waste, 1991/31/EC on the landfill of waste, 2000/53/EC on end-of-life vehicles, 2006/66/EC on batteries and accumulators and waste batteries and accumulators, and 2012/19/EU on waste electrical and electronic equipment (COM(2014)0397). 4 Verbatim plenary debate of 16 December 2014 on the Commission work programme 2015. 6a. Considers it essential to provide greater support to micro, small, and medium-sized enterprises (MSMEs) and worker cooperatives in order to boost their competitiveness within a stable business environment, minimise the effect of dominant market positions occupied by large companies and conglomerates, encourage the culture of entrepreneurship, and help SMEs to be set up and to grow;. 6a. Calls on the Commission, in view of the fact that potential micro-credit customers are usually unable to provide security and banks are generally unwilling to lend them money, to establish a 'European guarantee' for micro-loan;. 6a. Calls on the Commission to improve access to credit for family businesses, avoiding securitisation as proposed in the Capital Markets Union Green Paper. 1. Calls on the CommissExpresses deep concern on Commission´s intention to maintain the objective of including a specific energy chapter in the TTIP which could significantly increase the EU’s energy security;. Regrets the lack of transparency in the Commission trade negotiations. Calls for a public and democratic debate with all relevant stakeholders, in particular trade unions and civil society representatives, ensuring adequate monitoring of the implications of the Commission s free trade agenda. (1) Underlines that any FTA agreement must be conditional to the safeguarding of current levels of regulation labour, environmental and social rights protection and safeguards on public provision, including the right of States to adopt higher standards in the futures in this regards, insists that any form of ISDS be excluded from FTA negotiations, in order to maintain democratic control over said regulations. (1) The economic and financial crisis has led to a lowering of the level of investments within the Union. Investment has fallen by approximately 15% since its peak in 2007. The Union suffers in particular from a lack of investment as a consequence of austerity policies, including lower wages and public spending, which have depressed aggregate demand and increased market uncertainty regarding the economic future; and the fiscal constraints placed on Member States by SGP rules and the unwillingness of the ECB to intervene decisively in public bond markets. This lack of investment slows economic recovery and negatively affects job creation, and long-term growth prospects and competitiveness. (2) Comprehensive action is required to reverse the vicious circle created by a lack of investment. Structural reforms and fiscal responsibility are necessary preconditions for stimulating investment. Along with a renewed impetus towards investment financing, these preconditions can contribute to establishing a virtuous circle, whereNew investment projects help support employment and demand and lead to a sustained increase in growth potential, while ensuring social and regional cohesion. (4) Throughout the economic and financial crisis, the Union has made efforts to promote growth, in particular through initiatives set out in the Europe 2020 strategy that put in place an approach for smart, sustainable and inclusive growth. The European Investment Bank ('EIB') has also strengthened its role in instigating and promoting investment within the Union, partly by way of an increase in capital in January 2013. Further abeen responsible for structural reforms and budgetary cuts which have moved the economy away from the Europe 2020 targets. Action is required to ensure that the investment needs of the Union are addressed and that the liquidity available on the market is used efficiently and channelled towards the funding of viable investment projects, which reinforce social and regional cohesion through the creation of quality jobs and the broadening and improvement of the productive base of Member States, especially those most affected by the crisis. (10) The purpose of the EFSI should be to help resolve the difficulties in financing and implementing productive investments in the Union and to ensure increased access to financing. It is intended that increased access to financing should be of particular benefit to small and medium enterprises. It is alsoMSMEs and cooperatives. It may be appropriate to extend the benefit of such increased access to financing to mid- cap companies, which are companies having up to 3000 employees, when projects contribute to quality job creation, industrial development and social and environmental sustainability. Overcoming Europe's current investment difficulties should contribute to strengthening the Union's economic, social and territorial cohesion. (10) The purpose of the EFSI should be to help resolve the difficulties in financing and implementing productive investments in the Union and to ensure increased access to financing, reinforcing social and regional cohesion through the creation of quality jobs and the broadening and improvement of the productive base of Member States, especially those most affected by the crisis. It is intended that increased access to financing should be of particular benefit to small and medium enterprises. It is also appropriate to extend the benefit of such increased access to financing to mid- cap companies, which are companies having up to 3000 employees. Overcoming Europe's current investment difficulties should contribute to strengthening the Union's economic, social and territorial cohesion. (11) The EFSI should support public and other strategic investments with high economic and social value added contributing to achieving Union policy objectives. (14) The EFSI should target projects delivering high societal and economic value. In particular, the EFSI should target projects that promote job creation, long- term growth and competitiveness. The EFSI should support a wide range of financial products, including equity, debt or guarantees, to best accommodate the needs of the individual project. This wide range of products should allow the EFSI to adapt to market needs whilst encouraging private investment in the projects. The EFSI should not be a substitute for private market finance but should instead catalyse private finance by addressing market failures so as to ensure the most effective and strategic use of public money. The requirement for consistency with State aid principles should contribute to such effective and strategic usnot be a substitute for private market finance. (15) The EFSI should target projects with a higher risk-return profile than existing EIB and Union instruments to ensure additionality over existing operations. The EFSI should finance projects across the Union, including in the countries most affected by the financial crisis. The EFSI should only be used where financing is not available from other sources on reasonable termand investments can be shown to make a positive contribution towards social and regional cohesion, by improving public investment and services, the creation of quality jobs and the improvement and broadening of the productive base of Member States, particularly those most affected by the crisis. (17) Decisions on the use of the EFSI support for infrastructure and large mid- cap projects should be made by an Investment Committee, with appropriate involvement of social partners. The Investment Committee should be composed of independent experts who are knowledgeable and experienced in the areas of investment projects and the fields of employment policy, industrial policy, energy and research and innovation. The Investment Committee should be accountable to a Steering Board of the EFSI, who should supervise the fulfilment of the EFSI's objectives with appropriate involvement of social partners. To effectively benefit from the experience of the EIF, the EFSI should support funding to the EIF to allow the EIF to undertake individual projects in the areas of small and medium enterprises and small mid-cap companies. (18) In order to enable the EFSI to support investments, the Union should grant a guarantee of an amount equal to EUR 16 000 000 000. When provided on a portfolio basis, the guarantee coverage should be capped depending upon the type of instrument, such as debt, equity or guarantees, as a percentage of the volume of the portfolio of outstanding commitments. It is expected that when the guarantee is combined with EUR 5 000 000 000 to be provided by the EIB, that the EFSI support should generate EUR 60 800 000 000 additional investment by the EIB and EIF. This EUR 60 800 000 000 supported by the EFSI is expected to generate a total of EUR 315 000 000 000 in investment in the Union within the period 2015 to 2017. Guarantees that are attached to projects which are completed without a call on a guarantee are available for supporting new operations. (19) In order to allow for further increase in its resources, participation in the EFSI should be open to third parties, including Member States, national promotional banks or public agencies owned or controlled by Member States, private sector entities and entities outside the Union subject to the consent of existing contributors. Third parties mayshould contribute directly to the EFSI and take part in the EFSI governance structure. (21) Provided that all relevant eligibility criteria are fulfilled, Member States may use European Structural Investment Funds to contribute to the financing of eligible projects that are supported by the EU guarantee. The flexibility of this approach should maximise the potential to attract investors to se projects should be considered on a project-by-project basis, withe areas of investment targeted by the EFSIdequate involvement of social partners and public authorities. (26) Alongside the financing operations that will be conducted through the EFSI, a European Investment Advisory Hub ('EIAH') should be created. The EIAH should provide strengthened support for project development and preparation across the Union, by building on the expertise of the Commission, the EIB, national promotional banks, social partners and the managing authorities of the European Structural and Investment Funds. This should establish a single point of entry for questions related to technical assistance for investments within the Union. The purpose of the EFSI shall be to support public and strategic investments in the Union and to ensure increased access to financing for companies having up to 3000 employees, with a particular focus on small and medium enterprisMSMEs and cooperatives, through the supply of risk bearing capacity to the EIB ('EFSI Agreement'). 2. The EFSI Agreement shall be open to accession by Member States. Subject to the consent of existing contributors, the EFSI Agreement shall also be open to accession by other third parties, including national promotional banks or public agencies owned or controlled by Member States, and private sector entities. To meet that objective, the EIAH shall use the expertise of the EIB, the Commission, national promotional banks, social partners and the managing authorities of the European Structural and Investment Funds. The EFSI Agreement shall provide that the EFSI shall have an Investment Committee, which shall be responsible for examining potential operations in line with the EFSI investment policies and approving the support of the EU guarantee for operations in line with Article 5, irrespective of their geographic location, with appropriate involvement of social partners in the decision-making process. The Investment Committee shall be composed of six independent experts and the Managing Director. Independent experts shall have a high level of relevant marketExperts shall be selected on the basis of relevant knowledge and experience in management in project finance and the fields of employment policy, industrial policy, energy and research and innovation; They shall be appointed by the Steering Board for a renewable fixed term of three years. The Investment Committee shall be responsible to ensure that overall, projects under the EU guarantee foster European social and regional cohesion. 2a. At least one third of total guarantees will be used to support MSMEs and cooperatives. 1. The Commission and the EIB, with support from the Member States and the European Parliament, shall promote the creation of a transparent pipeline of current and potential future investment projects in the Union. The pipeline is without prejudice to the final projects selected for support according to Article 3(5). 6. Underlines the importance of comprehensive and cross-sectional impact assessments, andwith adequate emphasis on the risks for industry of external funding in case of enhanced financial fragility, volatility or concentration as result of the Capital Markets Union; calls on the Commission to undertake detailed consultations on matters of concern to allsocial partners and other stakeholders, and to ensure the coherence of the delegating and implementing acts. 1. finanční: (*) kterou poskytuje 2. personální: (*) kterou poskytuje 3. materiální: (*) kterou poskytuje (*) Totožnost příslušné třetí strany / příslušných třetích stran. Finanční zájem: 1. 2. 3. CV/0 deleted Doctor of Philosophy (Faculty of Philosophy and Arts, Charles University, Prague, 1978). Holder of the postgraduate qualification 'Candidate of Sciences' (Faculty of Philosophy and Arts, Charles University, Prague, 1982). Research assistant, specialised assistant professor (1977-1984). Senior research fellow (1984-1990). CV/1 deleted Vice-Chairman for foreign affairs of the central committee of KSČM (Communist Party of Bohemia and Moravia) (1993-2004). CV/2 deleted Member of the Federal Assembly of the Czechoslovak Federal Republic (1990-1992). Member of the Chamber of Deputies of the Parliament of the Czech Republic (1996-2004). Vice-Chairman of the Committee for Foreign Affairs of the Chamber of Deputies of the Parliament of the Czech Republic (1998-2004). CV/3 deleted Author of several books and studies, for example books on the history of the Reformation (Hus and Comenius), on Marx and Che Guevara, on the origins of American political culture, on Kurt Konrad, on Luther and on Jefferson. Doctor of Philosophy (Faculty of Philosophy and Arts, Charles University, Prague, 1978). Holder of the postgraduate qualification 'Candidate of Sciences' (Faculty of Philosophy and Arts, Charles University, Prague, 1982). Research assistant, specialised assistant professor (1977-1984). Senior research fellow (1984-1990). 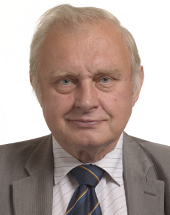 Vice-Chairman for foreign affairs of the central committee of KSČM (Communist Party of Bohemia and Moravia) (1993-2004). Member of the Federal Assembly of the Czechoslovak Federal Republic (1990-1992). Member of the Chamber of Deputies of the Parliament of the Czech Republic (1996-2004). Vice-Chairman of the Committee for Foreign Affairs of the Chamber of Deputies of the Parliament of the Czech Republic (1998-2004). Author of several books and studies, for example books on the history of the Reformation (Hus and Comenius), on Marx and Che Guevara, on the origins of American political culture, on Kurt Konrad, on Luther and on Jefferson.